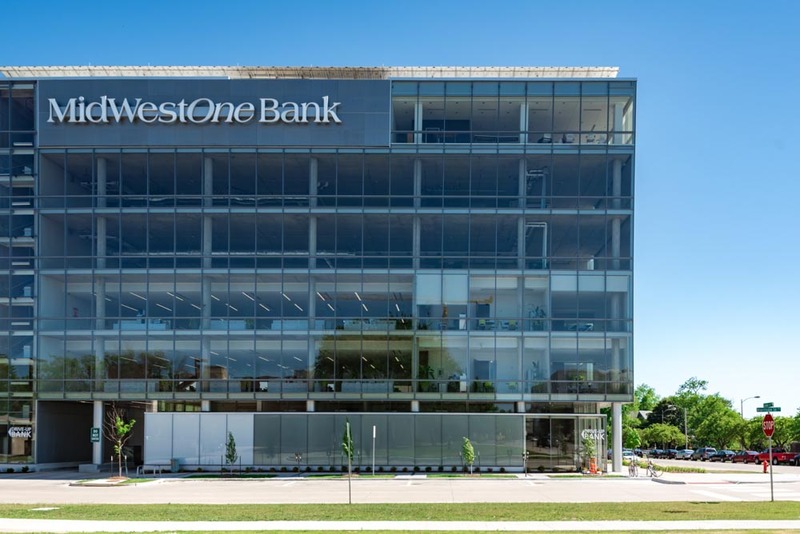 To complement MidWestOne Bank’s historic, downtown renovation, the Iowa City-based financial institution is building a brand-new building to house several of their departments, including a new drive-thru bank. 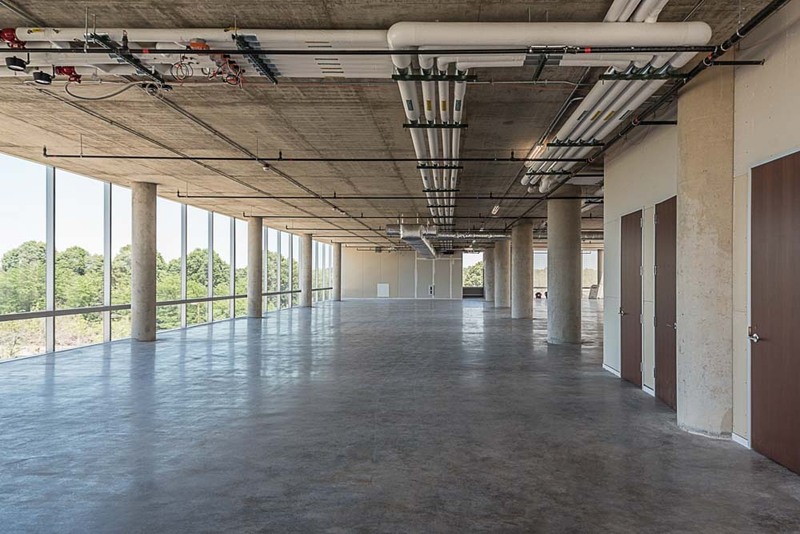 This modern building will stand 6 stories tall, with office space occupying the majority of the building, and a rooftop reception area and patio for hosting meetings or other social events. 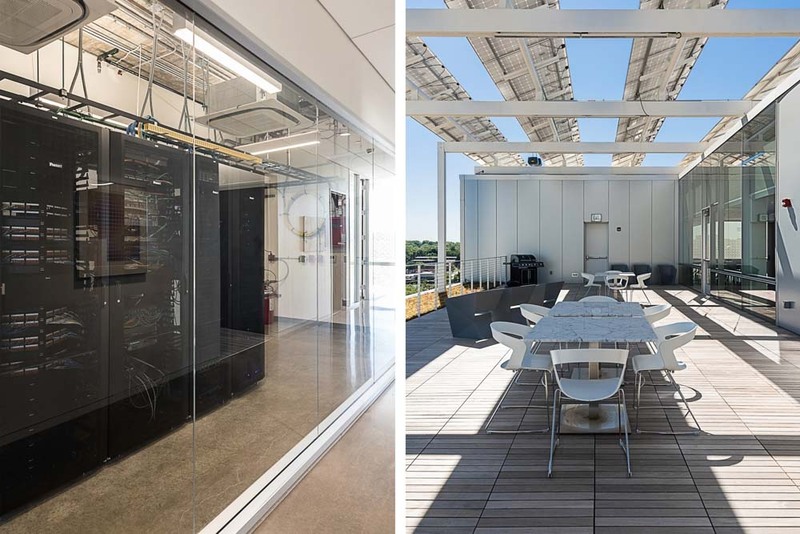 The owner’s goal of achieving LEED Gold presented MODUS with the opportunity to design extremely efficient systems throughout the building. 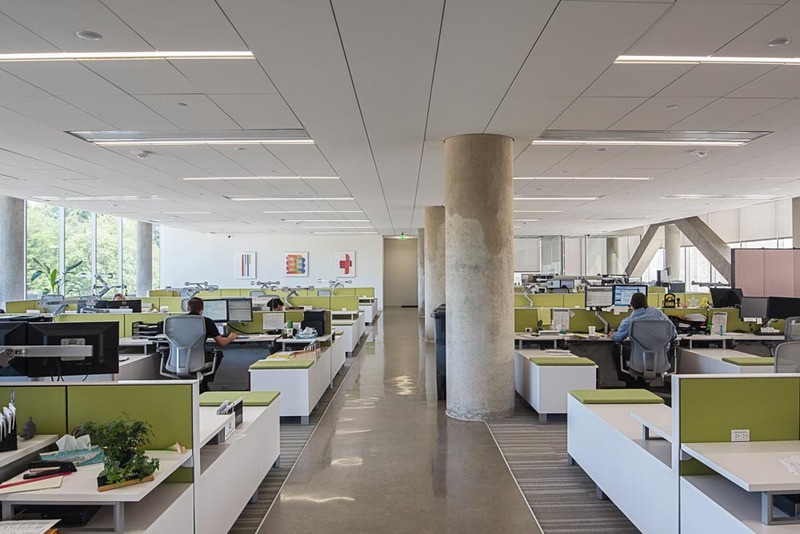 To counter the heating and cooling loads created by the north and south faces being almost entirely made up of glass, MODUS designed a radiant heating and cooling system that would thermally activate roughly half of the concrete floor slab. 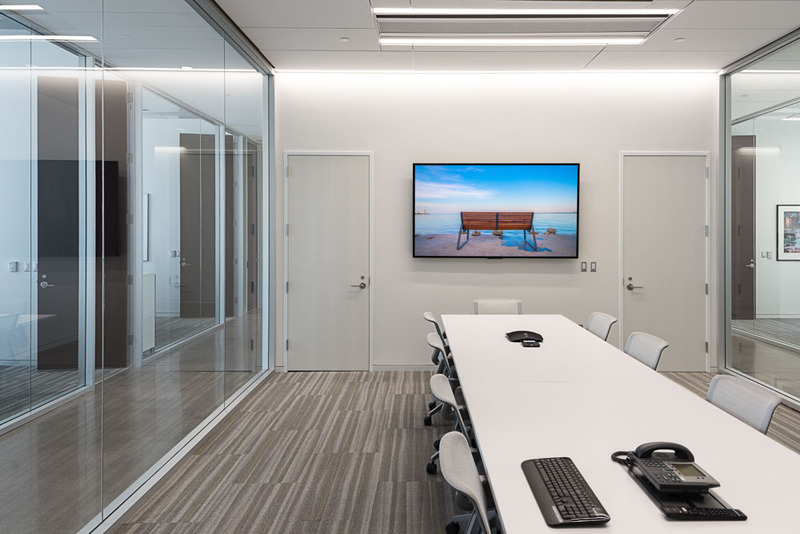 Additionally, to preserve ceiling heights and further equipment efficiencies, a chilled beam system was designed to distribute air overhead in the majority of the office spaces. Chilled beam technology converts a small amount of outdoor air into an even greater amount of conditioned air, using very little energy while being extremely quiet. The limited site conditions, only allowed a small sliver of ground to be exposed on the south side; MODUS utilized this to install a small geothermal system. The geothermal serves heat pumps in the drive-thru area and various other spaces. Lastly, a Variable Refrigerant system (VRV/VRF) was installed to provide independent conditioning of sensitive spaces, such as the IT Room. 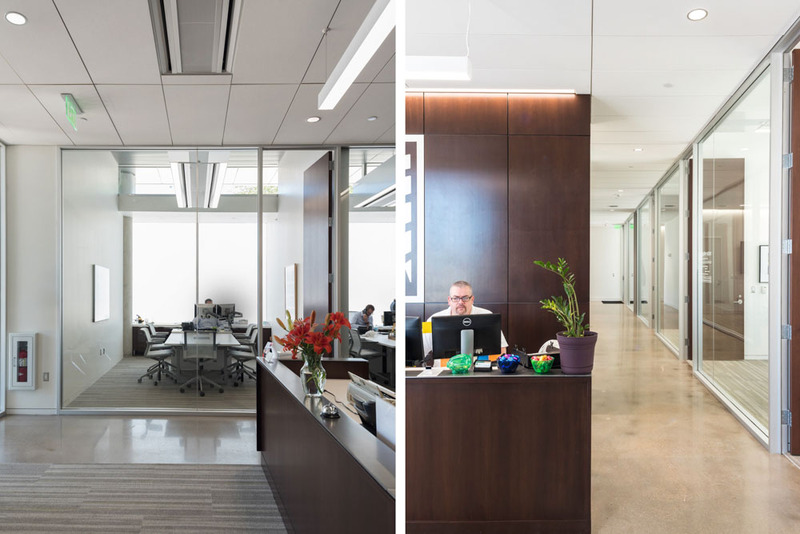 MODUS plans to achieve approximately 30% in energy savings over a typical office building. LED lighting is utilized throughout One Place at Riverfront Crossings to conserve energy. The lighting system is computer controlled, dimming and turning off the lights when natural light can be utilized. Sensitive banking functions are performed in the building, creating the need for an emergency generator. The generator was integrated into the roof design, conserving, even more, space on the ground. 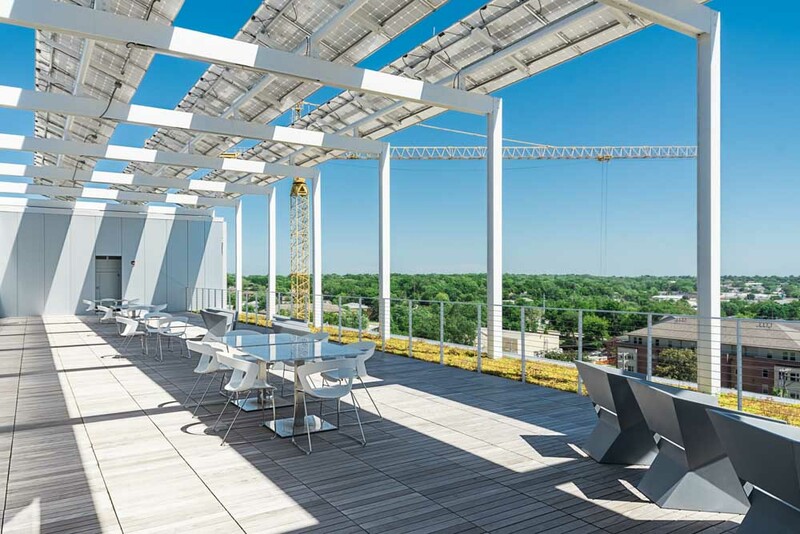 To “top things off”, the entire roof will be covered with roughly 300 solar panels, helping to provide between 10-15% of the buildings electrical power through renewable sources. One Place at Riverfront Crossings’ new design will save approximately 45% in energy costs!